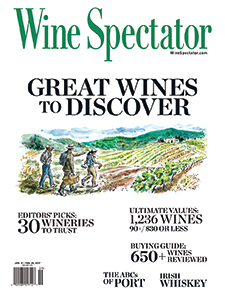 Editors’ Picks: Thirty Wineries to Discover – Big-name wineries get most of the attention, but there are lesser-known producers around the world whose commitment to quality and value across a range of releases makes them deserving of a place at your table. Here, Wine Spectator editors shine a spotlight on some of these underappreciated gems, with scores, notes and prices of standout bottlings to try. 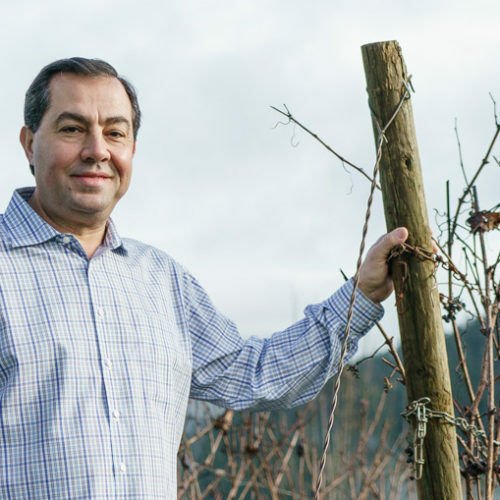 In 2001, Mo Ayoub planted a pocket-size, 4-acre Pinot Noir vineyard tucked into the Dundee Hills at 600 feet of elevation. He was 48 years old, commuting to Oregon from his job in California’s Silicon Valley. It took him a decade to save enough money to finish building a small winery adjacent to the vineyard cottage just outside the town of Dundee. From the beginning, he kept prices well below those for wines that, like his, consistently earn ratings in the 90-plus range. “I believe I have to earn it,” he said. The debut 2004 bottling from his tiny estate vineyard was released in 2006. He completed the winery in 2011, and now makes eight small-production wines. Besides his estate bottlings, he offers Pinot Noirs from neighboring Thistle and Winderlea vineyards in Dundee Hills, and Meredith Mitchell and Brittan vineyards in McMinnville. The latter is owned by his winemaker, Robert Brittan. In recent years he’s added another bottling from purchased grapes, labeled “??? Vineyards,” so named for being from an estate site of a famous Dundee Hills winery that does not want to be identified. The Pinots share the traits of flavor generosity, precision, presence and expressive detail. They are priced at $48 to $60 (the Oregon average for wines in this quality range is $65) and range from 135 to 440 cases. Ayoub also makes a reserve bottling called Memoirs, and a little over 100 cases of a tangy, vibrant, mineral-laced Chardonnay that consistently ranks among Oregon’s best. The more savory Mojo, a Pinot Noir-Cabernet Franc blend, completes the roster. Lithe and expressive, with citrus and white tea complexity, hitting mineral notes on the finish. Dundee Hills’ signature red fruit appears here with guava and raspberry notes, lingering well. From a hilltop vineyard, this packs ripe, dark flavors with mineral accents, finishing vividly. The McMinnville AVA’s bright acidity underlies ripe red fruit flavors, tinged with rose petal. Firmer and a bit denser than the estate wine, with similar red fruit flavors. This needs cellaring to soften the chewy texture.